Engagements are obviously special for marking your commitment to be married, but they also make for romantic stories that are often told over and over again to family, friends and future generations. No pressure, right? Well, never fear! If you’re looking for the perfect place to propose, Pensacola is as picturesque as they come, and I’ve got a few suggestions for where to get engaged in the bay area. Perhaps the most obvious choice would be the beach. At Pensacola Beach and Perdido Key, you can’t beat the scenery of white sand and emerald green water. You could plan a picnic, or take a stroll along the shoreline at sunrise or sunset for some of the most stunning skies you’ll ever see. Just don’t drop the ring in the Gulf! Closer to dry land, just south of Fort Pickens Road at Pensacola Beach, many a couple has gotten engaged in the shadow of a 10-foot cross statue that sits atop a sand dune. Placed on the island in 1959, the cross commemorates the first Christian mass held in the United States when the first Spaniards arrived in 1559. Standing firm through multiple hurricanes over the years, the cross offers a symbolic backdrop that evokes faith and strength. On board Naval Air Station Pensacola, not far from the National Naval Aviation Museum is the Pensacola Lighthouse and Museum, built in 1859. 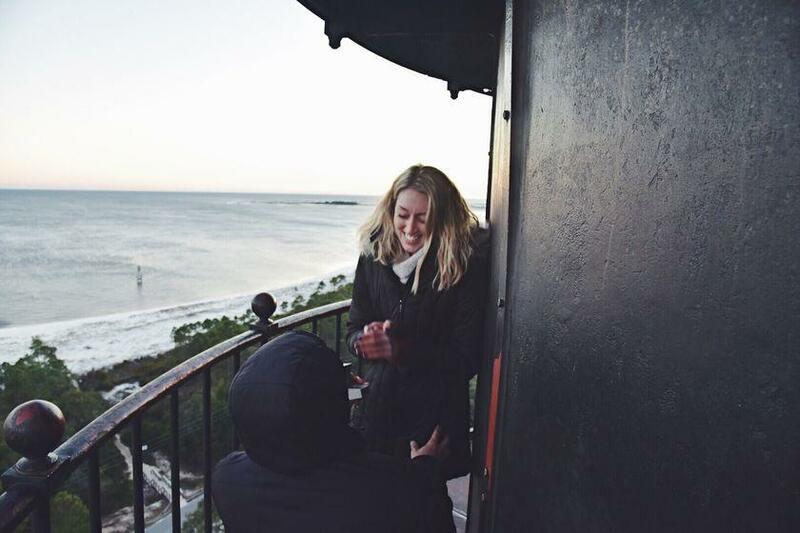 If you and your significant other are able to climb the 177 steps to the top of the lighthouse, you’ll find views of Pensacola Pass, where Pensacola Bay meets the Gulf of Mexico, three historic forts, Downtown Pensacola and the Navy Yard. Crowds vary during regular operating hours, 10 a.m. to 5:30 p.m. daily, but those looking to guarantee private access to the lighthouse for their proposal may rent the venue for a specific hour for $150. Johnson advises visiting the Pensacola Lighthouse website to plan your visit, and contact the Lighthouse in advance if you have questions or want to arrange a private tour. “Many people who have gotten engaged here have come back to get married here, too,” she said. Other couples have said bon voyage to the single life aboard a sailboat. Sunset cruises offer an especially romantic setting for a proposal, and Pensacola has a number of sailing companies available to assist you. Michael “Captain” Kirk owns Condor Sailing Adventures, where he and his wife, Whitney, operate Dare II, a rare, 40-foot Condor trimaran. Offering three cruises a day, as well as private cruises for up to six guests, Kirk says the Condor is noted for its stability in the water and spaciousness for guests to spread out as they enjoy cruising. He estimates they have about 15 proposals on board every year. Kirk says one man invited he and his girlfriend’s parents on a private cruise with them. 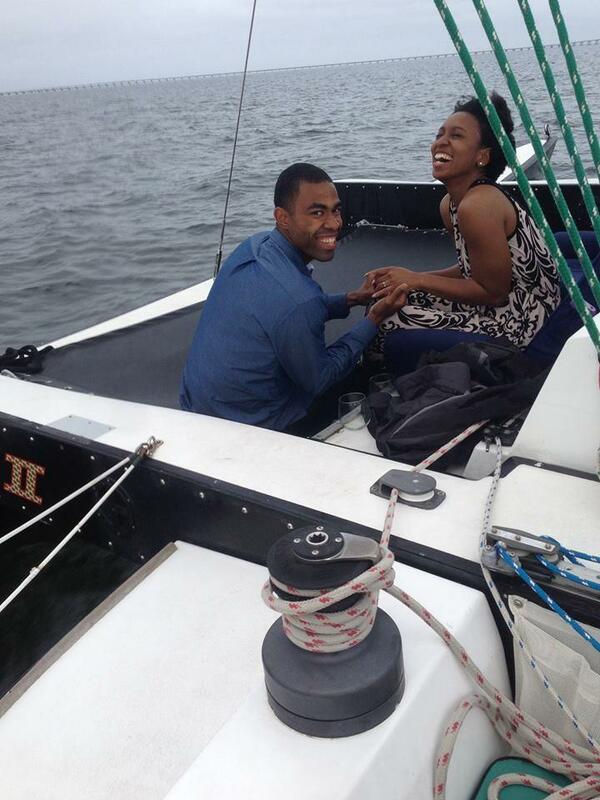 The families, seated on the boat’s side decks, were able to witness and photograph as he was on the bow proposing. Another man arranged for family members to stand at the marina, holding posters that spelled out, “Say Yes,” so that when the boat returned from the two-hour cruise, his future wife would see them when he dropped to one knee and presented her with an engagement ring. Other special cruise packages include an evening full moon cruise, and a sunset cruise accompanied by a professional violinist and guitarist duo to truly set the mood. 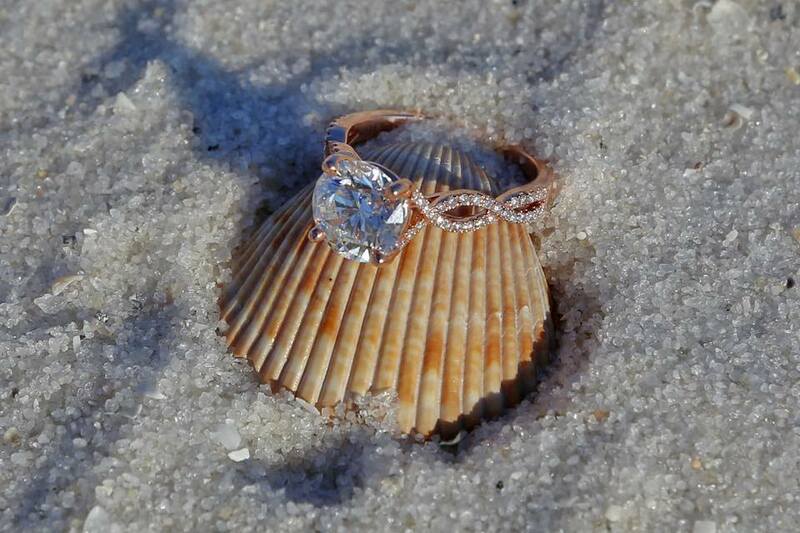 With so many options for your proposal, love is sure to be in the air, in the sand and on the water in Pensacola. Have an engagement tale to tell? Leave us a comment below!